A Liverpool MP today condemned a teenage gang’s “truly vile” racist attack on a black family in Liverpool. Five yobs were locked up for nearly 25 years after setting upon a religious minister in front of his 14-year-old daughter and two sons – armed with a fence panel with nails protruding from it, a baseball bat and a machete. The eldest son had to pull a nail out of his head after the attack in Dovecot on May 1 last year. Today West Derby MP Stephen Twigg said the attack reinforced the need to tackle racism. He said: “It is truly vile. It reminds us that some of the worst forms of racism and hatred tragically are still there and how much work we still need to do to tackle and overcome them. "It is true to say that for the vast majority of people, there is a real pride in Liverpool as an open and welcoming place, but horrific cases like this remind us that there is a minority that will go to very extreme lengths that we have to remain vigilant against. Liverpool Crown Court heard the family’s ordeal began when the teenage girl was making her way home from school and passed a 10-strong gang outside Finch Road shops. Jordan Jackson, 19, of Whittier Street, Toxteth, was locked up for nine years and Daniel Finnigan, 19, of Childers Street, Old Swan, for eight years. Kyle Jackson, 19, of MacQueen Street, Old Swan was sentenced to three years and four months. Connor Killcourse, 19, of Rupert Road, Huyton, who is serving a 25-month sentence for dealing heroin and cocaine, was handed two years and 11 months. It will be served once when his current sentence ends. Judge David Aubrey, QC, said the gang’s actions were “totally unacceptable in any civilised society” and “a campaign of racial hatred”. Mr Twigg said he would work with the Anthony Walker Foundation, which aims to promote equality and diversity, on projects in his constituency. Detective Inspector Graeme Robson said: ”This was a racially motivated incident which resulted in serious injuries to the victims. This kind of behaviour will absolutely not be tolerated and as these sentences show, offenders will be caught and they will be brought to justice. 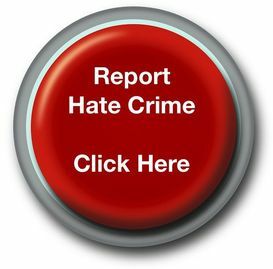 “There is no place for racism or any hate crime within our communities. I would like to thank the victims in this case for their courage throughout. Our officers working on this investigation provided a thorough file of evidence to ensure those involved were punished as they should be and it is only right that the length of these sentences reflect the racially aggravated element of this incident.